Have you ever wondered to create your own theme instead of downloading themes online? 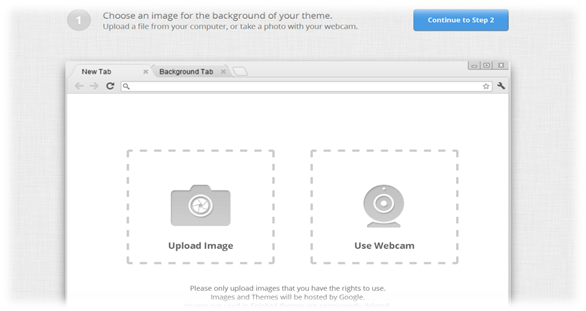 Currently, Google Chrome has tons of themes available for download. 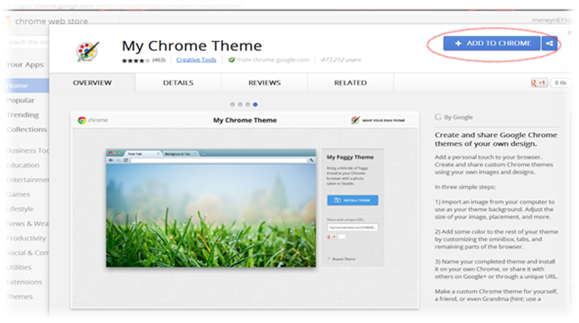 However, Google Chrome doesn’t provide any option to customize or create the theme in Chrome. Nevertheless, we got an app for the same. 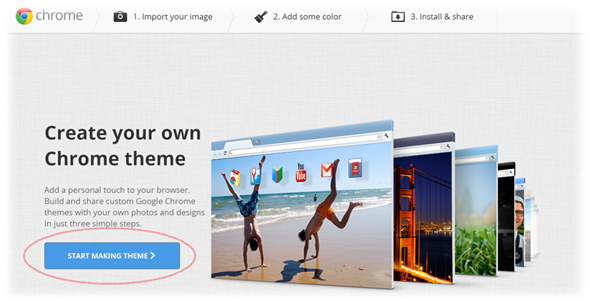 With the help of My Chrome Theme app, you can easily create your own custom theme using your own pictures or images. 1. First you need to install My Chrome Theme App on the browser from here. 2. Once you Finish installing it on browser, click on Launch App to launch the application. Now click on Start Making Theme to create chrome themes. 3. Now as in the below screen you can either Upload Image from your PC from the drive where you have images stored or Use Webcam. Once images is uploaded, you adjust the position of the image accordingly. 4. Now its time to give colors to your chrome i.e Chrome tabs, background and chrome overall theme. You can add color to the places where there is a ‘paint brush’ like icon. You can also preview the theme which you are modifying currently by clicking on Preview Mode. 5. Final Step, Name your theme. you can give your theme a name and also add a description to your Theme. Click on Make my theme and the app will Generate the theme. Congratulation, you just created your own customized Google Chrome Theme. 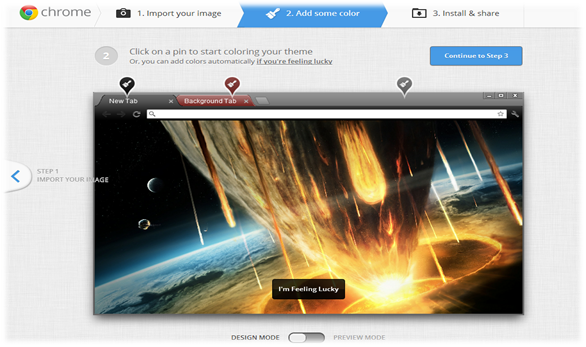 Click on INSTALL MY THEME to install theme on Chrome Browser.